Professional Education - Knowledge Consultants, Inc. Whether you’re interested in a public course offered with our partner, Innoverto, or want a private, custom workshop for your team, we have courses in a variety of areas. 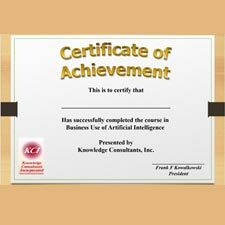 KCI provides a certification program to ensure your employees have retained their new knowledge and skills. We’ve been providing training for over 15 years within the North American, Europe, Mid-East and Asia continents. To learn more about each of these areas, click the area of interest. At KCI, we value the transfer of knowledge. The current global economic, political and technology forces are placing considerable stress on the ability of businesses to perform in concert with the rapid changes. As companies move forward the need for skilled professionals becomes more and more evident. 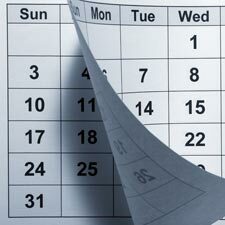 Productivity and organization results depend on the skills and knowledge of the company staff. Whether the skills are specifically focused on one discipline such as process management or more general business analysis, Knowledge Consultants provides educational options to develop the organization with the know-how, skills and knowledge needed to meet its goals. How? KCI trains people to bridge the gap between the business perspective and the technology needed to enable the business to achieve the desired results. KCI offers various educational services that cover the following areas. To learn more, click on the above areas listed.